We watched the 1stDay1stShow of your movies. When U won all those Awards, we said Cheese! Not only the pride of India, but U r a global inspiration. U have a persona larger-than-life, yet are grounded. U teach lessons & have been the reason why we prayed. U are the subject of many of my Blog Posts! U are the hot-topic of discussion & fights among dosts! 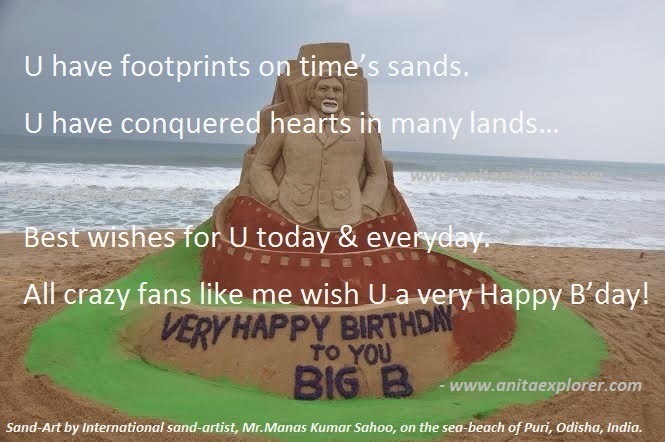 U have footprints on time’s sands. Best wishes for U today & everyday. All crazy fans like me wish U a very Happy 72nd B’day!